There are few experiences that produce as much adrenaline as the Canopy. Crossing through the tree’s crowns held by a harness hanging off a cable produces a feeling hard to describe. It’s that same feeling that provides adventure activity lovers a great experience. 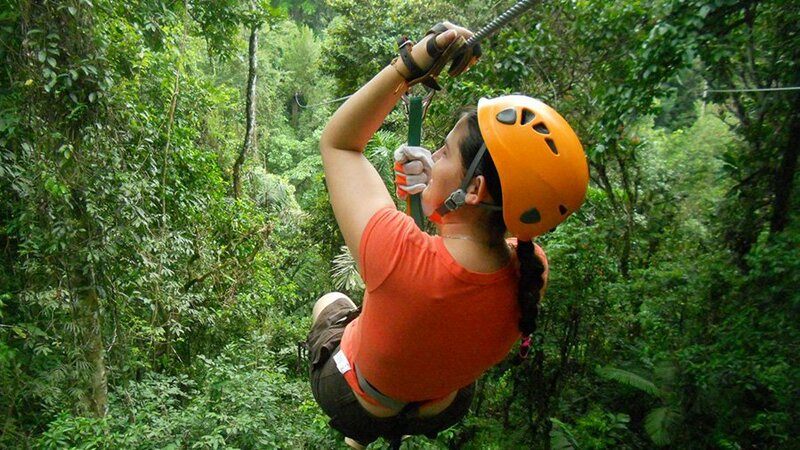 In addition to the rush of soaring through the treetops, Canopy allows you to observe nature from another perspective. It is important to follow the directions of assigned guides to enjoy this activity in a responsible and safe way. What to Bring: Long pants, hiking or tennis shoes, camera, bug repellent.